Little Miss Character Fact Files! Welcome! Here you can find out about some of our Little Miss friends, like Little Miss Sunshine, Little Miss Giggles and Little Miss Trouble! 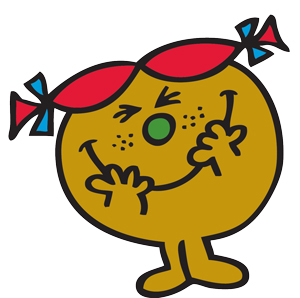 Mr Men Little Miss magazine is out every six weeks. Issue #3 is in shops now! 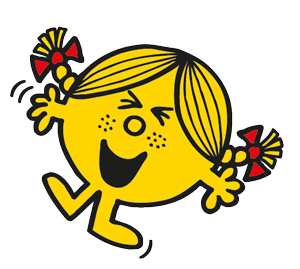 Little Miss Sunshine is the female counterpart to Mr Happy. Always cheerful and bright, she tries to cheer up everyone around her and is everyone’s best friend. Little Miss Princess is true royalty. The daughter of a King and Queen she has always had servants to take care of her every need. 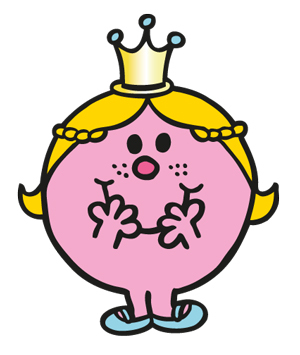 However, manners are very important to Little Miss Princess so she is never rude or spoilt. She knows how lucky she is and always tries to share her fortunes! 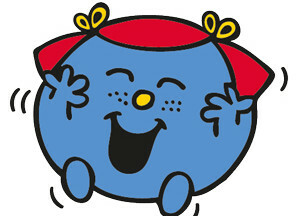 Little Miss Chatterbox talks a lot, just like her brother Mr. Chatterbox. Little Miss Giggles is always giggling and it is very infectious. 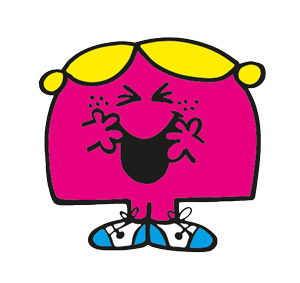 She is almost as happy as Mr Happy. She is cute, bubbly and girly and always looks on the bright side of life! Little Miss Trouble is always causing mischief and blaming it on someone else. It makes her giggle! There is nothing she likes more than watching people being blamed for something she has done.